The Winner's Circle's story actually begins in 1965 when Bryan Thomas helped start and form a company named Walking Horse Supply Company. In 1970 he sold his share out to his partners and ventured on his own. With the encouragement of friends and family he started World Champion Horse Equipment in May of 1972. World Champion quickly became the favorite source for most trainers in the Walking Horse and Saddlebred circles. The business quicky expanded its operations and became a catalog retailer serving customers all over the U.S. and other parts of the world. In 1985, World Champion was sold to Dabora, Inc. of Shelbyville, TN. Dabora, under the direction of the Howard family, took World Champion Horse Equipment to the next level by expanding its presence in the Saddlebred industry and used its media presence to expand its catalog business even more. 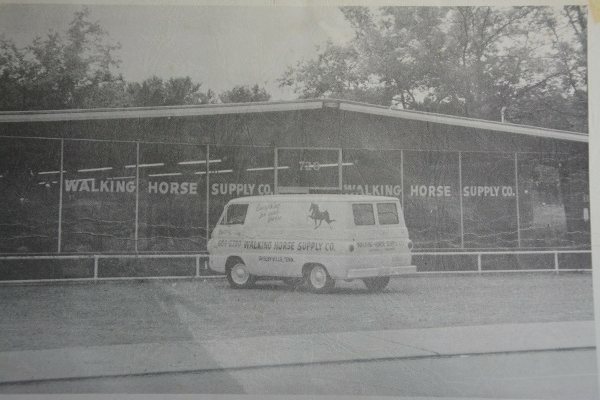 In the late 80s they also acquired the original Walking Horse Supply company and merged the two companies. In 1994, after staying away from the business for nine years, David Thomas along with his sister Dana Thomas formed The Winner's Circle Horse Supply and began to build a new business focused on the Walking Horse industry and the horseback field trial industry. Their key product was the M & W Trooper saddle previously manufactured by M & W Leather Works and their uncle, Roy Womble. In a few short years The Winner's Circle was moving full steam ahead. In December of 2011, The Winner's Circle purchased World Champion Horse Equipment and National Bridle Shop of Lewisburg, TN. The Winner's Circle & World Champion have merged while National Bridle continues its operation under the same roof as it's sister companies. Our goal is to provide the highest quality products available at competitive prices while offering the fastest service available. We look forward to serving you soon!